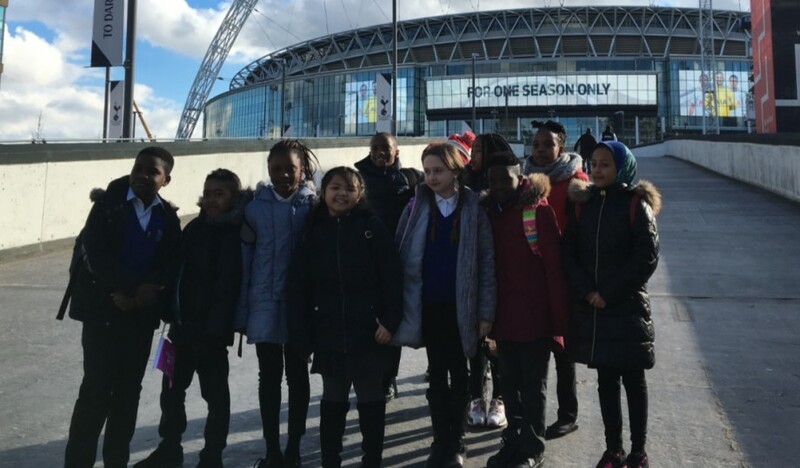 On Wednesday 7th March 2018 the JLT from years 3 and 4 attended WE Day at Wembley Arena. WE Day is a place where everyone comes together and shares their stories and experiences. Katie Piper always dreamed to be a model and she was going to be very successful. One day jealousy got the better of somebody and Katie suffered a horrific attack. Somebody who she thought was her friend threw acid in her face and left her with life changing injuries and scars. 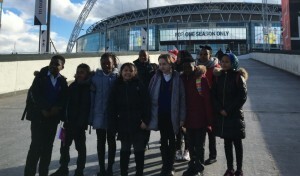 Katie could have then given up on her dreams, however she decided to keep going on her journey and make a difference to others in the same situation. She now has a charity in her name and she helps people in similar situations and she has never given up on her dreams. We heard from Princess Beatrice and Princess Eugenie and their experiences of being a teenager in the public eye and how their bond of sisterhood helped them. One of the most moving speeches was from Musharat and his teacher Mr Burton. Musharat has a stammer that could have silenced him. However he was stronger than that and alongside his teacher who never stopped believing in him, he was able not only to complete his speaking exam he was able to complete a speech in front of his whole school. He didn’t stop there and he spoke to all 30,000 of us in Wembley arena. It was inspirational and he got a standing ovation. We heard about from a youth worker that works near the tragic Grenfall Tower. She used her voice to help children who had experienced trauma from the fire. She made a pop up youth club in the local park. By doing this she created a haven for the children, somewhere where they could act like children and forget about the real world. There was many inspiring speakers on the day but these were the ones who stood out for me. As well as this, we were lucky enough to see pop stars perform and some of our favourite YouTube stars present the show. WE WILL CHANGE THE WORLD, AS CHILDREN ARE THE FUTURE.